Hi, she looks like an orbweaver in genus Neoscona. 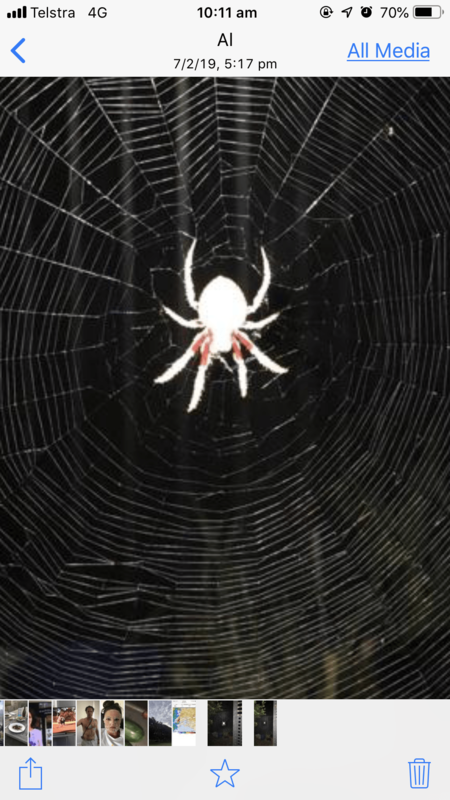 Orbweavers mostly prey on large flying insects. They have some venom, like almost all spiders. Orbweavers’ venom isn’t very potent to most people. They aren’t likely to bite.